Proprietor Loraine Chapman together with daughter Beverley and her husband Kevin, extend a warm greeting to you from their quiet and beautiful touring park, which is located just five miles west of the city of Cambridge. 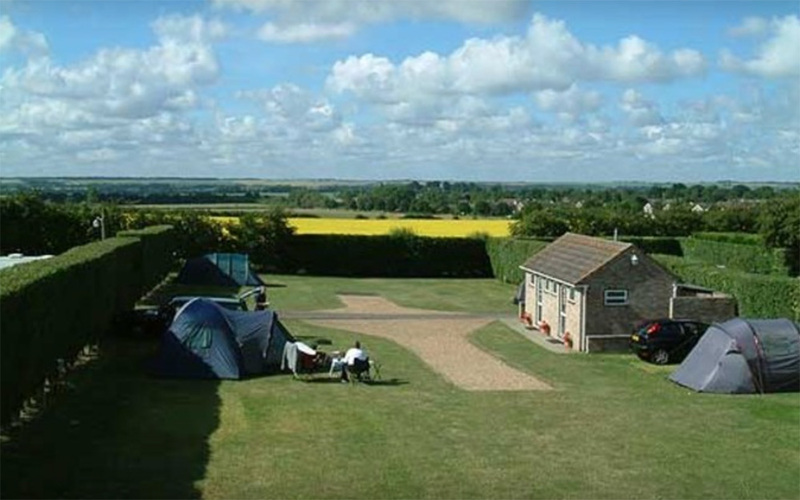 The park is set in attractive undulating countryside, and there are many quiet villages nearby for you to explore. The area abounds with just about every possible attraction, from ancient buildings to wildlife parks. There are also many activities nearby, golf, fishing, horse riding, and punting to name but a few. Or perhaps you fancy a day at the races in nearby Newmarket. For those who love to shop, there is the vibrant city of Cambridge. Here you can wander the many historical streets and lanes, where you will find all types of shops and stores. Or stroll alongside the banks of the River Cam, have lunch on the terrace of a riverside pub, or picnic in one of the many parks. The Madingley Park and Ride service into Cambridge is only a short drive from Highfield. For motor caravans there is the Trumpington Park and Ride service that has parking facilities especially for motor caravans. The Trumpington Park and Ride is easy to find, and is clearly sign posted from Junction 11 of the M11 motorway. Park and Ride buses run until 20.00 hrs. We understand you will need to stop at the barrier and ring them, someone will then come and let you in. A short walk will take you to the bus stop that will take you into Cambridge. There is also a fast train from Cambridge that will take you to London (Kings Cross) every half hour, takes about 52 mins. Please Note: New arrivals please arrive after 2 pm. No arrivals after 9 pm, thank you.